A quick render inspired by The Devil Wears Prada featuring Musso's wonderful Marnie character. I tried to get as close as possible by kitbashing all sorts of bits that I've accumulated over the past couple of years. Certainly not exact, but hopefully gives the right impression. AngelReaper, this could be a very expensive thread for me. I've got some of Mousso's characters but seeing all these other renders will tempt me to open my wallet further. Here's a quick and dirty little render of Joanna as one of video gaming's oldest heroines. I picked her up at "the other site" before she made the move to DAZ. I think it still needs work but wanted to show some support for Mousso. I love your work also. I'd post some renders, but since I mainly use the skin, extras and add to the face morphs, it really doesn't showcase all of what you have done. keep up the great work! Yeah, I almost never use the base morphs... But the skin work is very nice and doesn't require a lot of pre render manipulations on my part. Finding skin that works for me is a very good thing. That being said, the shapes are very lovely. They don't look like an easy dial spin away from Victoria. I tend to fall into a rut with my own dial spins, so having different pretty faces to work from is a huge benefit. I hear you on falling into a rut on my own creations, but I know what I like and the Simtenero Randomizer is great for when I want to come up with a new figure shape. The only figure shape I have used out of the box persay, was the old V4 Girl next Door athletic. I loaded up every character I had in my G8 library the other day to see what the figure shapes were like and not a single one was close to my liking. 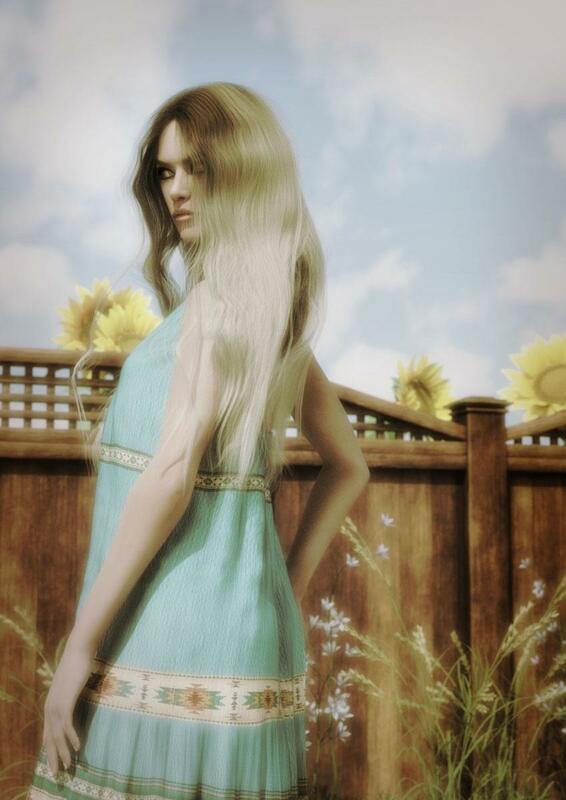 This is an older render that I posted in an earlier thread that used Mackenzie for. I too really like Mousso's characters! Trinity looks good Mousso btw have I seen her somewhere thought saw maybe a sneak peek somewhere maybe a promo for something else or in the galleries? Here are a few from my gallery. Mousso does some amazing work. Not sure I can afford for her to keep making models. Joanna, Kallisto, and Mackenzie and some dial spinning. My humble contribution, Shangrila and Delaney. All hail Mousso! @JVRenderer, what necklaces are those? They are so beautiful! @DustRider I remember that render. Its a masterpiece. @ewcarman Beautiful renders. The first is my fave. @JVRenderer I was sitting here trying to figure out which character she is then saw that its a mix of 3. Very good render! Love the skin detail. @ANGELREAPER19 No I never posted her anywhere but in this thread. Looking forward to seeing Botan (or whatever name) appear in the store, she looks great! Delaney with her supermodel-over-the-top-gorgeous look was also a favourite of mine. The only thing that kinda bothered me was that her skin was a little too pale for my taste... easily fixed with Altern8. Now Marnie was too gorgeous to pass. She's already found her way in one of my paintings (currently in an exhibition)! There are other people who will make better renders of her than me in my little machine. Keep it up Mousso! We love your characters! I used Joanna in two renders for Lara Croft fan art! The first scene is with the G3F version; the second is the G8F version.